Revive your cooking repertoire with this definitive culinary guide. 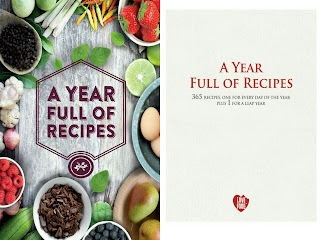 Cooking on a daily basis can soon drain your bank of ideas, but with a recipe for every day of the year this beautiful cookbook will provide inspiration for all manner of meals and occasions. Use the recipe meant for todays date, or flip through for a wealth of inspiration, from main dishes to sides and sweet treats.